Often these are the world’s most critical problems — think reducing maternal mortality, increasing agricultural productivity, making sure citizens have a voice in development planning, assessing police performance, or bringing new consumers into the mainstream. 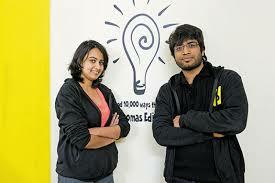 But this Delhi-based startup has taken on the challenge of many of these critical problems—using data and technology. With over 150 partners spread across 7 countries, SocialCops offers solutions to them all—ministers, legislators, heads of philanthropies, chief executives of multinationals and more. But how is SocialCops using data to solve complex problems? Let’s find out. How is SocialCops making data-driven decisions easier? Founded in 2012 by Varun Banka, Prukalpa Sankar and Harjoben Singh when they were final year students in Nanyang Technological University, SocialCops focuses on making data-driven decisions easier and more effective. The company’s data intelligence platform brings the entire decision-making process — collecting primary data, accessing external data, linking internal data, cleaning and transforming data, and visualizing data — to one place. This makes it faster, more efficient and easier to make an important decision through data. Take the case of the district of Chandrapur, for instance. Despite being rich in natural resources, it is one of the most underdeveloped districts in India. However, given the district’s diversity, a traditional development plan won’t effectively drive development. Instead, it needed targeted development plans that account for the needs of every household, village and block. The Tata Trusts, along with the district administration of Chandrapur, partnered with SocialCops to create microtargeted village development plans. This involved collecting data from every single household across 290 villages. This data was then used to create specific village development plans according to the needs of every village. Armed with these insights, the district and block level officials were able to improve their budgeting, policy decisions, and program targeting to drive rapid development across Chandrapur. “Data intelligence starts with finding all the data you need for your decision — extracted from elaborate internal systems, sourced from places you never would have thought to look, and unified with real-time data. We then transform this mass of data into intelligent insights that make the best decision obvious”, says Prukalpa Sankar. Consider the case of the Ministry of Petroleum and Natural Gas, for instance. They partnered with SocialCops to use data intelligence to carry out the Pradhan Mantri Ujjwala Yojana effectively. The scheme aims to give subsidized LPG connections to 5 crore women who are living below the poverty line. “We focused on three key aspects of the scheme: opening new LPG distribution centers in places with the most impact, tracking the LPG application process, and ensuring that new LPG connections were installed effectively and safely”, says Sankar. “The Minister now has all the data he needs at his fingertips, and he can drill down to a very granular level to understand how the scheme is progressing across various states,” she adds. 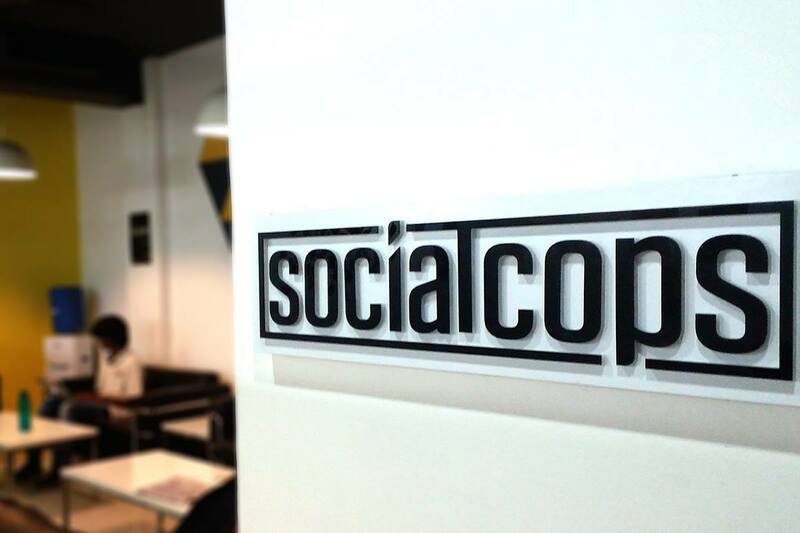 SocialCops has partnered with several organizations including various government agencies in India, the Ministry of Petroleum and Natural Gas, Ministry of Rural Development, NITI Aayog, Governments of Andhra Pradesh, Maharashtra, and Telangana, Government of Guatemala, and the Malaysian Police. Their partners also include leading philanthropies and nonprofits such as the Bill & Melinda Gates Foundation, Tata Trusts, UNICEF, Oxfam India, Swades Foundation, Next Billion, Goonj, and Deepalaya — and large corporates like Unilever and BASF. The SocialCops team consists of passionate engineers, data scientists, and economists from the world’s top institutes — such as Nanyang Technological University, Dartmouth College, Grinnell University — and top colleges in India, such as IITs, Lady Shri Ram College, and Shri Ram College of Commerce. Collect: A mobile-based data collection tool, which collects quality data on Android phones or tablets. Collect is made for the toughest conditions — it collects data and even tracks GPS locations without internet, even on low-cost devices — all while handling powerful functions like monitoring and custom mapping with ease. Access: A massive data repository, with collated diverse data sets from publicly available sources. Unlike most public data sets, SocialCops’ data sets are cleaned, able to be layered, and usable. Transform: A data cleaning tool, which uses machine learning to complete data manipulation tasks quicker, more efficiently, and with less coding. Transform turns unstructured data into structured, usable data, and it even geocodes data or builds data indices. Visualize: A data visualization tool that converts all of this data into simple, meaningful visualizations that give you insights in seconds. The team, which draws experience from companies like Microsoft, Goldman Sachs, Barclays Capital, Harvard-based development consultancies, etc. have their own set of challenges that they face as a startup. “Every day is a new challenge for us at SocialCops. We are not just building a company, but an entire industry. This means that a lot of the existing models or processes are obsolete for us”, says Sankar. Another challenge for SocialCops is building the right team. “As SocialCops grows rapidly, finding the right talent is a challenge. Having the right team is fundamental to building a strong foundation”, she explains. Data intelligence, which is the essence of this startup, lets SocialCops’ partners use their platform to gain insights from the world’s most difficult data and make complex decisions feel effortless. Whether an organization is opening new stores, designing a national health scheme or investing in female empowerment initiatives, SocialCops has solutions to help it use data to reach its final decision.